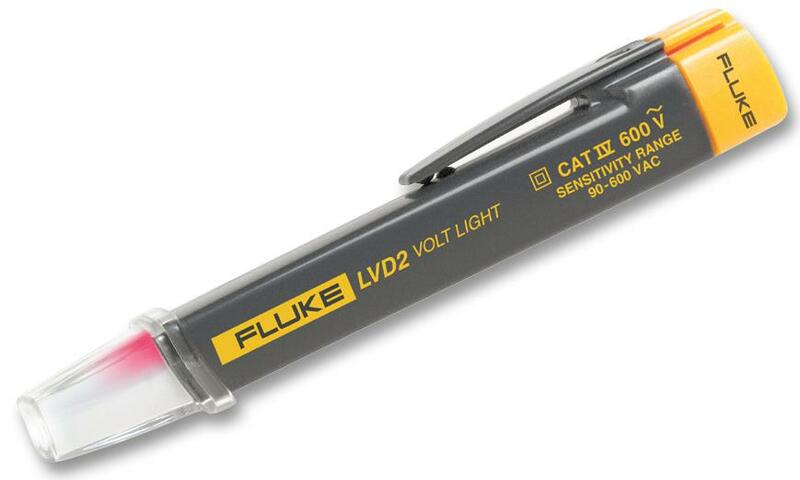 Non-contact AC voltage detector and LED flashlight combined into one easy to use pen-style design. The LVD2 is a CAT IV 600 V rated non-contact detector that is suitable for commercial and industrial applications. The LVD2 includes dual sensitivity indication, showing blue when 1” to 5” (2.54 cm to 12.7 cm) from the source and turning red when at the source.